Hasty comparisons are frequently made between Repertory Dance Theatre, Utah’s first modern dance company, and other local companies. As RDT celebrates its half-century contribution to the Utah arts scene, SLUG spoke with Linda C. Smith, a performer and choreographer with RDT since 1966, and now its current Executive and Artistic Director. The point is to release the bound and untapped power of older styles of choreography, to permit them to disrupt the present moment, forcing new perceptions of current norms and sensibilities. Smith’s statement that RDT exists to “perform the works, preserve the memory, and continue the legacy of great modern choreographers” also entails strategically and courageously reinventing them. RDT sees this sort of revision as an essential part of curating and cultivating the tradition. Consequently, two principal values championed by RDT are creation and education. “Sixty-percent of what we perform has been newly created for us,” Smith says. 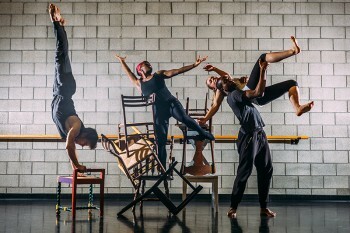 The company encourages its members to become involved in all aspects of dance, including the production of their own works. This emphasis has been central to RDT’s vision from the very beginning. “RDT has been able to pay its dancers a living wage,” Smith says—each one has signed on in the form of a 52-week contract. RDT regularly takes modern dance out into the wider community, with the cooperation of SPARK, the state’s office of fitness. Such outreach is something the dancers consider one of the most exciting aspects of their work. Smith speaks of the benefits of dance for both physical and mental health. “Vigorous exercise before learning new concepts,” she says, “is highly beneficial to both understanding and memory.” RDT works with students ranging from grades K through 12, showing the close relationship between dance, math, time, space and energy. RDT also mentors dancers from ages 16 to 60 in a program called Prime Movement, hosted at RDT’s home on West Broadway. “Dance changes lives,” Smith says. The surest evidence to confirm this claim is RDT’s current company of dancers. Despite their diverse backgrounds and personalities, they all shared a fundamental quality of adaptability. All were articulate and passionate communicators, in command of both bodily and linguistic rhetoric—something relatively rare among artists. Justin Bass described his roundabout path to RDT. 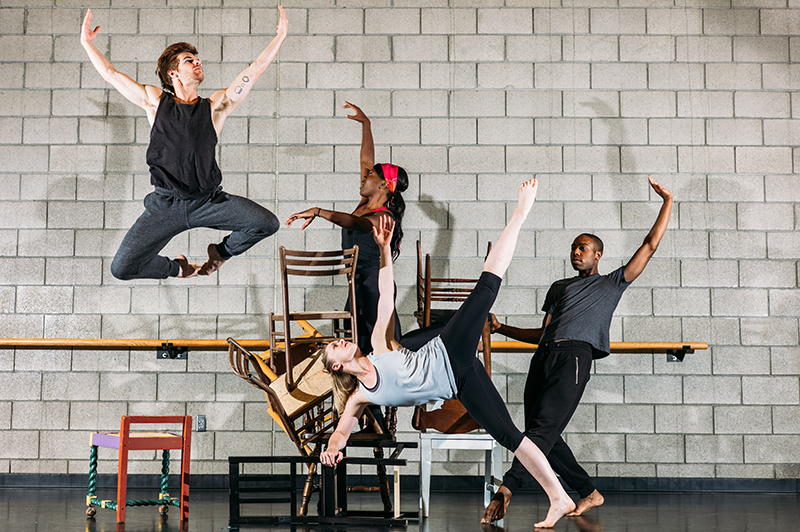 “I grew up in New York having no access to modern dance,” he says. “I discovered it watching television.” Initially, Bass was unaware that dance was taught in college. “I studied fashion design for the scholarship money. Meanwhile, I began taking dance classes on the side.” In those classes, he learned a love of goals, discipline and teamwork. Jaclyn Brown, on the contrary, grew up in the small town of Ballard, Utah. “I was raised pheasant hunting,” she tells me. “At age 3, I started pom-pom dancing. Dance was a way to keep out of trouble.” Like Bass, Brown arrived at modern dance circuitously—in college, she majored in psychology. Meanwhile, Tyler Orcutt, from a young age, was immersed in a range of physical and athletic activities. He says, “I did ballroom dance, karate, swimming, baseball, all of which taught me to be determined and dependable.” Ursula Perry began studying classical ballet at the University of Utah, though she progressed to contemporary ballet. It was only at the insistence of a friend that she auditioned as a modern dancer. “My broad experience has allowed me to create my own independent niche as a dancer,” she says. Perry brings her full set of skills to her work with Raw Moves, an intensive children’s workshop sponsored by the Virginia Tanner Dance Program at the University of Utah. Modern dance is an idiom and contains many disparate dialects. “All our dancers,” Smith stresses, “must be multi-lingual.” She means that her dancers must be able to leap between the disparate styles of multiple choreographers and perform fluently and persuasively in each. Hence, RDT dance manifests a quasi-vocal, rhetorical quality. 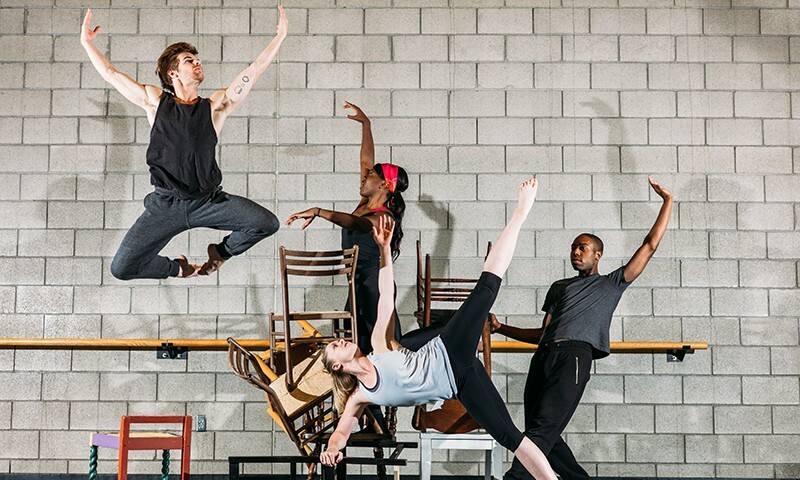 Repertory Dance Theatre will open its next season by presenting Ritual, a set of dances by four recent choreographers, including RDT alumnus Tim Wengerd. The show has been advertised as “constantly evolving patterns infused with ceremonial memory.” Performances will be held Oct. 1–3 at the Rose Wagner Performing Arts Center.